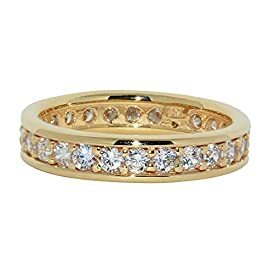 Shop the latest collection of 14k Yellow from Diamond Wedding Rings Store. New products are available online. Shop today! 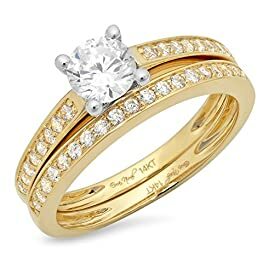 Solid 14k White or Yellow Gold Round Brilliant Cut Solitaire with Princess Cut Side Stones, 14k Stamp Engagement Ring 1.75ct.